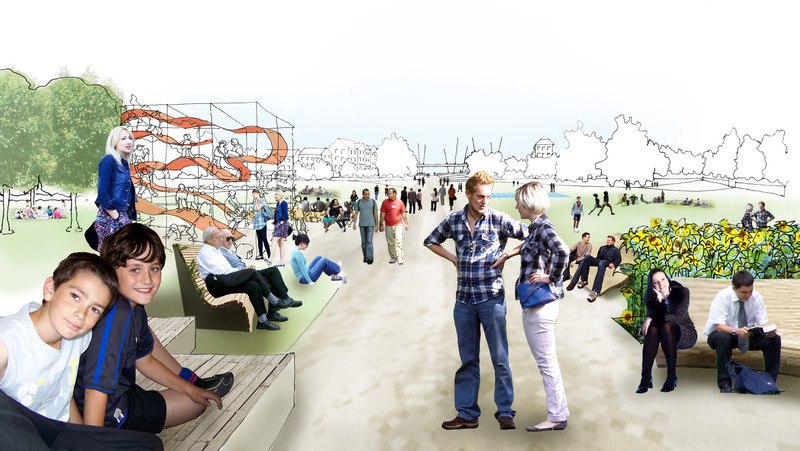 leit-werk.com - Topic: A new airport for London? Home › Forums › A new airport for London? › A new airport for London? This topic contains 0 replies, has 1 voice, and was last updated by henrik 5 years, 9 months ago. A study under way to be published in 2015 will advise central government about viable strategies for sufficient airport capacity for a continued sustainable growth of London as one of the most attractive Metropolitan conurbations on the planet. Proposals ranging from a new airport in the Thames Estuary to extensions of either Heathrow, Stansted, Gatwick or Luton airport. Architect’s proposal’s are refreshingly stimulating the debate moving away from pure extension of the predominantly airside infrastructure towards a holistic approach to understand the relationship between the city and the airport in the 21 century, addressing the question of a hub in terms of the airside as well as consequences for the urban development of London. The conundrum of Heathrow as being the busiest airport world-wide – encapsulated within residential areas and London’s Green belt challenges the city to rethink its relationship to its infrastructure. Perhaps another angle will bring new light into the debate, when looking at the rich infrastructure already in place and under construction including the network of Regional airports in Southend, Oxford, Cambridge, Southampton in relation to proposed upgrade of the High-Speed Rail connecting London to other parts of Britain and to Europe. De central infrastructure has proofed to be successful in the development of Germany as a country, vastly destroyed after WW2. Infrastructure as a linear hub as leit-werk proposed for the regional development for Khartoum could be another angle, establishing a development corridor for transport, logistic, exchange and production. leit-werk investigates into other cities and their engagement with the establishment of a new airport including Hong Kong, Tokyo, Munich and Berlin.